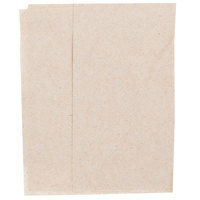 In addition to being better for the environment, unbleached kraft napkins work just as well as their bleached counterparts. We offer a variety of sizes and dimensions to fit your storage and napkin dispenser needs, and some napkins come in easy-seal bags for self-contained storage. 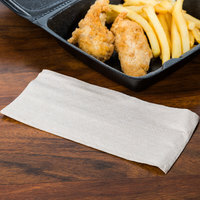 We even carry self-adhering paper napkin bands to pre-roll your utensils and napkins for faster table setting and service at your buffet, catered event, or restaurant. 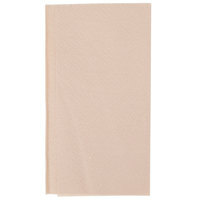 Also make sure to check out other great items from Choice, Just1 and Morcon. 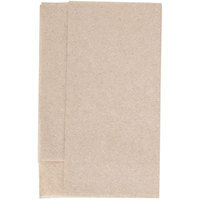 Our selection of unbleached kraft napkins provides the perfect way to enhance your business’s eco-friendly image. Their brown coloring is a reminder that they weren’t made with harsh chemical processes that can poison the environment. 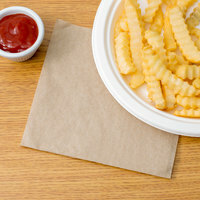 With so many size options available, there’s an unbleached kraft napkin for every drive-thru, concession stand, cafeteria, and deli. 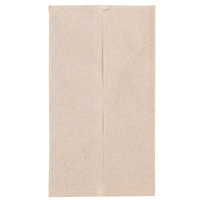 For other disposable restaurant items, check out our paper napkin bands, plastic flatware, and plastic cups and barware. 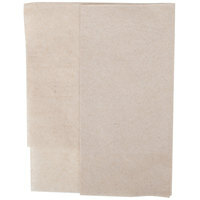 If you're wondering where to buy unbleached kraft napkins, we have a large selection of unbleached kraft napkins for sale at the lowest prices.